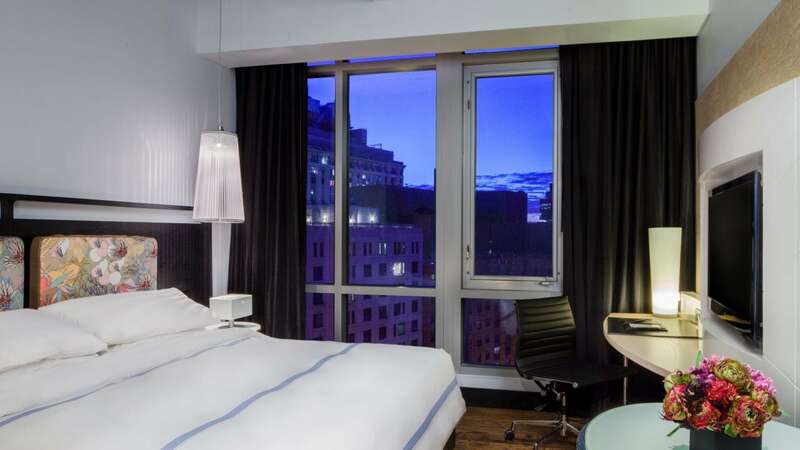 Relax in one of our modern studios or luxury New York City hotel suites with oversized windows and NYC street views. 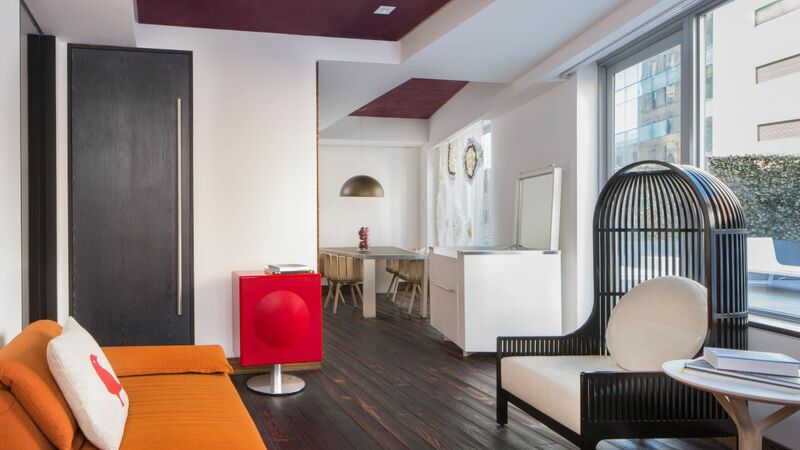 Choose rooms that overlook Fourth Avenue or 13th Street or something quieter like the courtyard, or indulge in a one-bedroom suite with a private terrace. Enjoy the top floor 571-square-foot one-bedroom suite with king bed offers a separate sitting area with sleeper sofa and 4-person dining table. This is a premium suite. See World of Hyatt program terms for upgrade eligibility. 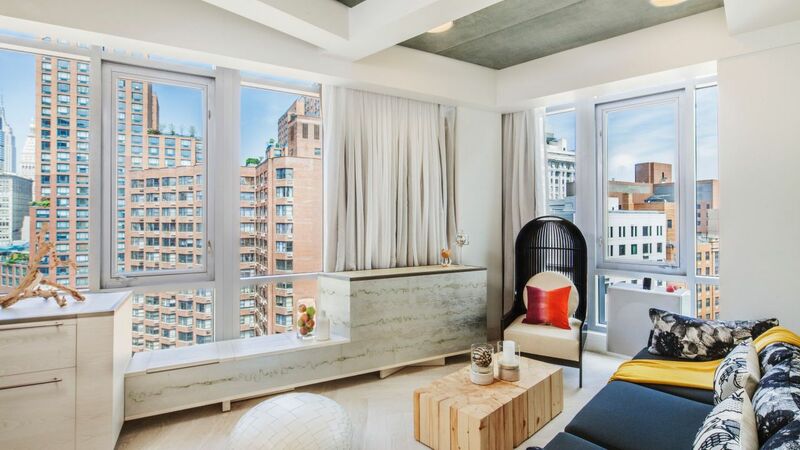 Spread out in the 1,335-square-foot one-bedroom, landscaped terrace suite with king bed. Offering a seating area with sleeper sofa and dining table. This is a premium suite. See World of Hyatt program terms for upgrade eligibility. 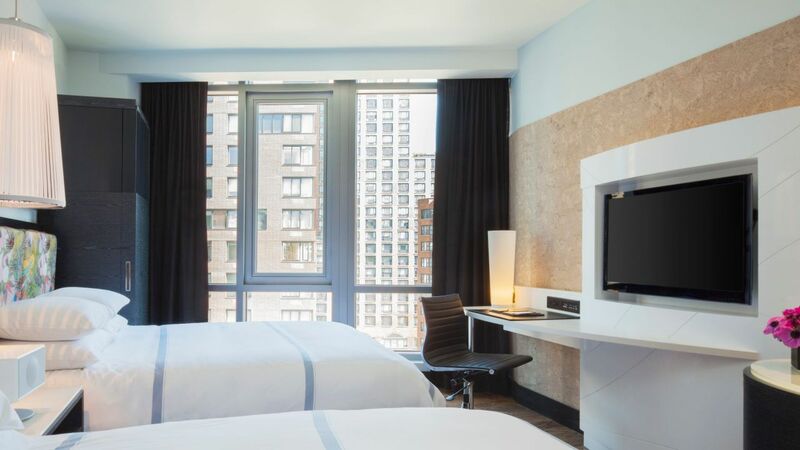 Feel at home in our 325-square-foot corner junior suite overlooking 13th St. and 4th Ave. with one king bed, seating area and enhanced minibar. This is a standard suite. See World of Hyatt program terms for upgrade eligibility. 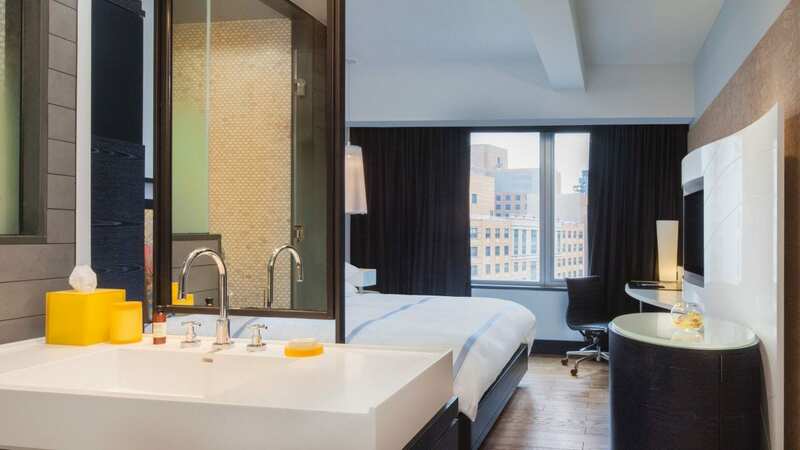 Rest comfortably in this 300-square-foot room, with two queen beds perfect for families or travel partners with views of 13th Street or 4th Avenue and a rain-head shower and minibar service. 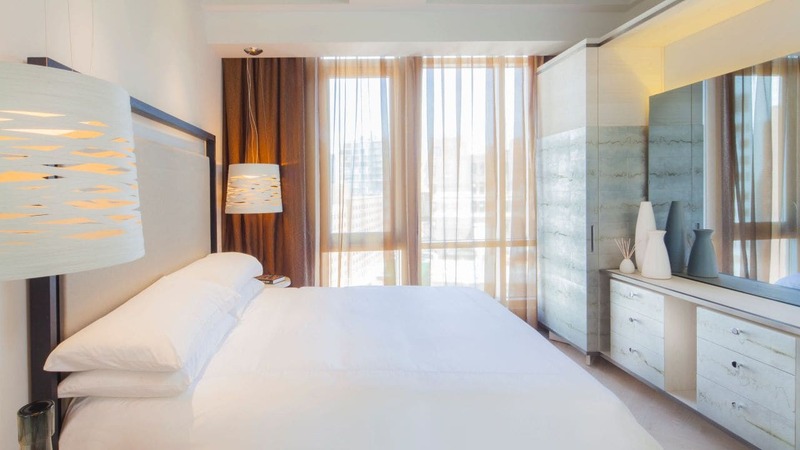 Relax in this 220-250-square-foot open-concept room with one king Hyatt Grand Bed™ overlooking 13th Street or 4th Avenue with rain-head shower and minibar service. Enjoy the weather on a private, landscaped terrace with outdoor furniture. 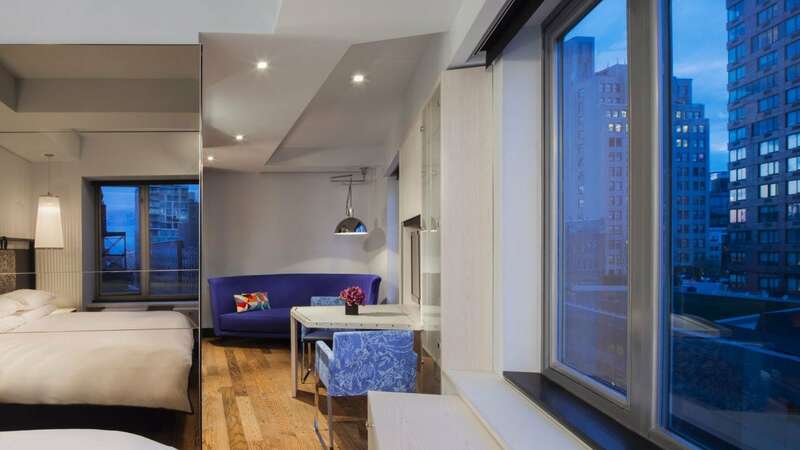 This 230-300-square-foot open-concept room with king bed, rain-head shower and minibar service. See World of Hyatt program terms for upgrade eligibility. 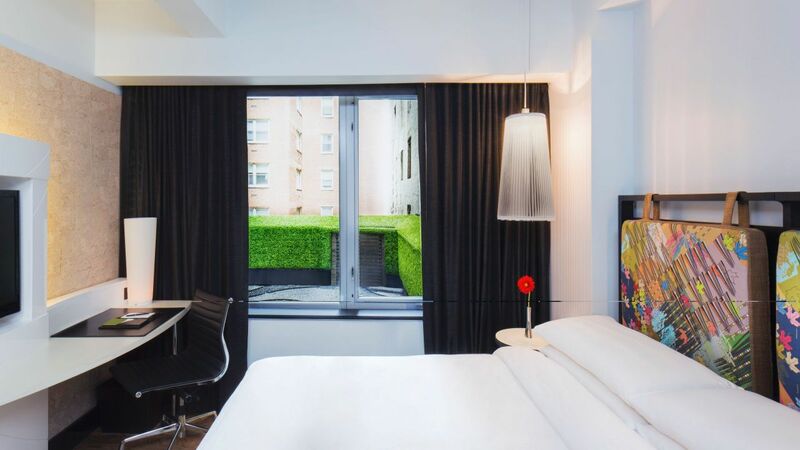 Escape to this 230-275-square-foot one king bed room located on the 10th & 11th floors offering views above 13th Street, 4th Avenue or the quieter courtyard. This room offers a standard rain-head shower and minibar service. 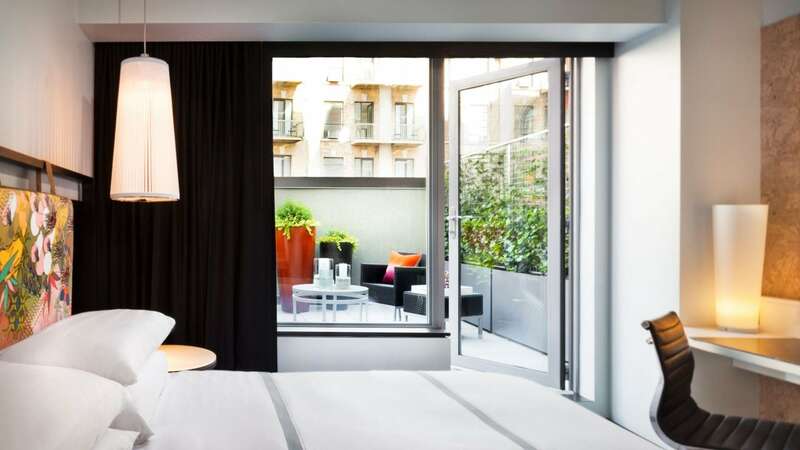 Rest comfortably in our 220-275-square-foot open-concept, standard room with one king bed facing an interior courtyard helping to reduce outside street noise. This room offers a standard rain-head shower and minibar service. Feel at home in our 300-square-foot open-concept, ADA room with one king bed facing an interior courtyard helping to reduce outside street noise. The entry system, shower, lighting and climate controls are positioned lower.